“Personal Data” is any data that identifies you. The Personal Data which you supply to us you agree will be true. We will deal with your Personal Data in compliance with the current UK data protection legislation. Please note this applies only to Monks Cross not to other companies’ or organisations’ websites to which we may link. Personal Data will be collected, processed and used by Monks Cross for the purposes of providing Monks Cross service to you and the other purposes mentioned below. Personal Data may also be processed and used by such other organisations on our behalf for the purpose of providing the best possible Monks Cross service to you. The use of information will remain under the control of Monks Cross at all times. Monks Cross do not sell or share your data with any third parties outside of The Galleries. Monks Cross collect data so that it can offer the best possible services and offers to you. We only send post, email and text messages to you about news services that we consider may be of interest to you only if you have given us permission to do so. If you have agreed to be contacted by telephone / mobile then calls may be monitored and may be recorded for quality and training purposes. We may collect Personal Data about your usage of Monks Cross service in order to provide a service to meet your needs. However, the data will only be disclosed on an anonymous and aggregated basis not in a way in which you will be identified. Monks Cross’s privacy protection practices help us to maintain accurate, timely, complete and relevant Data for our business purposes. These cookies are necessary for the operation of our website. They do not store any personally identifiable information. You can set your browser to block or alert you about these cookies, but our website may not work properly without these cookies. These cookies collect information in an anonymous manner about how visitors use our website and how our website performs. These cookies allow us to recognize and count the number of visitors and their journey around the site. They also help us understand which pages are the most popular and where visitors spend most of their time which enable us to create content relevant to our audience. These cookies enable the website to provide enhanced functionality and personalisation, such as remembering choices you make or information you provide, your regional location, your login information, or the pages you have viewed. They may be set by us or by third-party providers whose services we have added to our pages. If you do not allow these cookies then some or all of these services may not function properly. These cookies record your visit to our website, the pages you have visited and the links you have followed. They allow Monks Cross and our advertisers to deliver advertisements that are relevant to you and your interests. They may be used by us and our advertisers to build a profile of your interests and show you relevant advertisements on other sites. These cookies may track whether you clicked on an advertisement in order to limit the number of times you see a particular advertisement and help us understand the efficacy of our advertising campaigns. They do not directly store personal information, but uniquely identify your browser and device. If you do not allow these cookies, you will experience less targeted advertising. You have the right to see personal data (as defined in the Data Protection Act) that we keep about you upon receipt of a written request, we are entitled to charge a maximum fee of £10 to meet our costs in providing you with the details we hold about you. If you are concerned that any of the information we hold on you is incorrect please contact us using the details below. In compliance with the law monkscrossshopping.com may be obligated to disclose Data about you to a law enforcement agency or by a court order or under the discovery process in litigation. How can I get my name removed from Monkscrossshopping.com mailing list? 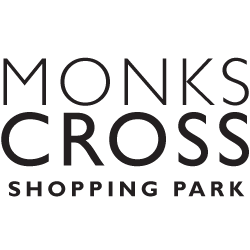 If you want to be removed from our mailing list, please send an email to a.sanderson@monkscrossshopping.co.uk with the word ‘remove’ in the subject line and the email address that you wish to be removed within the email. Please note that it may take up to 28 days to action your request. Each electronic mailing we send you will contain details of how you can un-subscribe. The consequences of deregistration are that your account details will be placed in a suppression file and you will not receive any further email communications from Monks Cross. How do I change any details stored by Monks Cross? Monks Cross will occasionally update this Privacy Statement. When we do, we will also revise the “last updated” date at the top and bottom of the Privacy Statement. Monks Cross will obtain your opt-in consent for any updates to this Privacy Statement that materially expand the sharing or use of your personal information in ways not disclosed in this Privacy Statement at the time of collection.